What Coursework is Expected for a Master's in Health Informatics? If you’re interested in the intersection of healthcare and information technology, you may be considering the possibility of pursuing a master’s degree in health informatics. Those wishing to pursue a career in the field generally pursue a master of science (MS) degree. Health informatics uses information technology to acquire, manage and use various kinds of information needed to provide quality healthcare in an efficient way. Because almost every kind of healthcare discipline relies on information technology, especially in this increasingly technological age, health informatics are needed in many different kinds of settings. 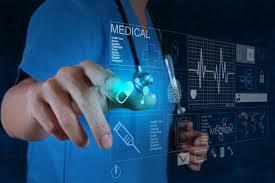 There are specific kinds of health informatics, with each requiring slightly different kinds of preparation. For instance, there are clinical informatics, nursing informatics, public or community health informatics, and pharmacy informatics, just to name a few of the sub-specialties you may run across. Many of these specialties have certifications that can be obtained by those with proper skills and training. Learning to use and apply information technology in healthcare means that you need to combine knowledge and skills from both fields. Having a background in one or the other might be beneficial. A typical master’s degree in health informatics will likely involve coursework in statistics and biostatistics and medical terminology as well as many topics related to computer science such as information technology, software development, systems design and database management. Students will likely also study topics such as informational exchange and information security. Learning to analyze data is an important part a health informatic’s job, since often healthcare organizations are looking to the data provided by informatics to help them understand the best way to deliver care that is cost-effective. So it is likely that you will also study finances and accounting, either at the master’s level or at the bachelor’s level prior to pursuing your master’s. Having an understanding of financial budgets and organizational proposals will also make you more effective in the field. What coursework you take will likely depend both on the specific field in which you hope to work, and on the type of program you enroll in. You can pursue master’s level degrees in both traditional colleges and through online programs. Your studies will likely include lecture and reading components as well as mentored projects in which you can begin to apply your new skills. Having an interest and aptitude for information technology is a must for someone studying health informatics. The field is still emerging, but jobs in the field are becoming increasingly available since the federal government is requiring more consistency in how healthcare records are maintained. Many of the technologies involving data gathering and management are still evolving, but it’s a good assumption that the field is here to stay, and will likely play a more important role in years to come, especially as healthcare delivery continues to expand to more people. If you have an interest in healthcare and a desire to help healthcare institutions make quality care more accessible and efficient, then you might want to look into a master’s degree in health informatics.